At the end of March, shortly before returning to California, I made a brief trip from Santiago to Valparaíso and, en route, had the good fortune to meet Courtney Kingston (pictured above) – also a California resident – and visit her family’s Kingston Family Vineyards (pictured below). Because the visit was necessarily brief – though I did get a chance to sample the produce before I caught the local bus to Valparaíso – she agreed to an email interview that follows. WBB: Please tell me something of your family history – as I recall, you have longstanding connections in Chile, but you are a California resident now spending an extended period in Santiago. How much time do you normally spend here each year? CK: My great-grandfather, Carl John Kingston was a mining engineer who came to Chile in the early 1900s from the Upper Peninsula of Michigan – which used to be copper country in the US As a result of a mining investment gone bad, he acquired as collateral what’s now our farm in the Casablanca Valley. So my grandfather, my father, and all their siblings were born and raised in the same farmhouse that our family here continues to take care of. Typically my family and I live in Northern California, near San Francisco, Stanford University, and wine country. I come down to Chile every couple of months, as well as lead the distribution of our wines, primarily in the US, Canada, UK and Brazil. But in 2014 my husband, our three daughters and I are living in Santiago, which allows me to be more hands-on at the winery, and also for our three daughters to attend school through the Chilean school year. WBB: What is your annual production, and what percentage is exported? On such a large property, what acreage is devoted to wine, and what else does the farm produce? Is any of that exported? CK: Throughout our family’s history here we’ve been farmers of dairy and beef cattle and various crops, and beginning in the late 1990s we began growing grapes as well. Today we sell 90% of our grapes to other Chilean wineries, but we make about 2000-3000 cases per year of our own Kingston Family wine. That’s a very small amount for a winery, which allows us to make it by hand. We export about 90 percent of our production to the US and Canada, with the balance going primarily to the UK, Brazil and Chile. We’re unusual as a Chilean winery in that, also having a base in the US, we can offer our US clients the ability to buy from our website or to receive regular shipments of Kingston wine via our Old Corral Club. WBB: Just inland from the port of Valparaíso, Casablanca’s climate resembles that of coastal California. 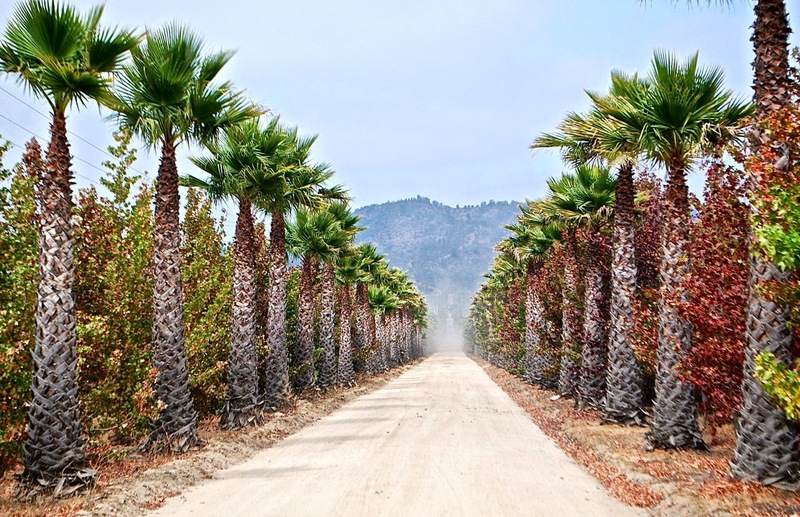 What California wine region would be the closest comparison? To what degree do you rely on irrigation? western Casablanca reminds him most of California’s Santa Rita Hills on the south-central coast [near Santa Barbara] – both in terms of topography, and in how the cool coastal breezes bring alternating fog and sunshine to our vineyards. Overall, Chile is like California with the “volume turned up.” Instead of the Sierra Nevada, we’ve got the Andes; instead of driving three hours from San Francisco to Lake Tahoe to ski, in Chile you could ski Portillo and swim in the Pacific (in a wetsuit, no doubt) on the same day. In terms of water for our grapes, we do drip irrigation – little drips from a hose running across the top of the vines – which allows us to give the minimum amount of water that the grapes can get by on. Not only is this more sustainable and economical, but also the best wine grapes typically come when you don’t provide them with too much water. WBB: What varietals do best in Casablanca? Am I correct that you are one of the few Casablanca wineries focusing on reds, particularly Syrah? What other varietals (and blends) do you produce? WBB: Who controls the Chilean wine industry? Is the Movimiento de Viñateros Independientes a response to the big producers? How many of you are there, and where are you? Would you say you’re less conventional than big producers like Concha y Toro? CK: The vast majority of wine produced in Chile is by a handful of major producers, but from our perspective at Kingston Family, we don’t feel affected or limited by that in any way. The central challenge we have, like any small business, is creating awareness among wine lovers about what we’re doing making our small lots of wine here in our corner of Casablanca Chile. So by teaming up with about 20 other artisan winemakers here in Chile – via MOVI, the Movement of Independent Winemakers – we’re able to amplify the message to the market about the innovative wines coming from so many interesting boutique winemakers in Chile. WBB: Are you open for tours and tasting? One thing that’s always caught my attention is that Chilean winery visits are expensive – more so than in California and much more so than in Argentina (particularly Mendoza). 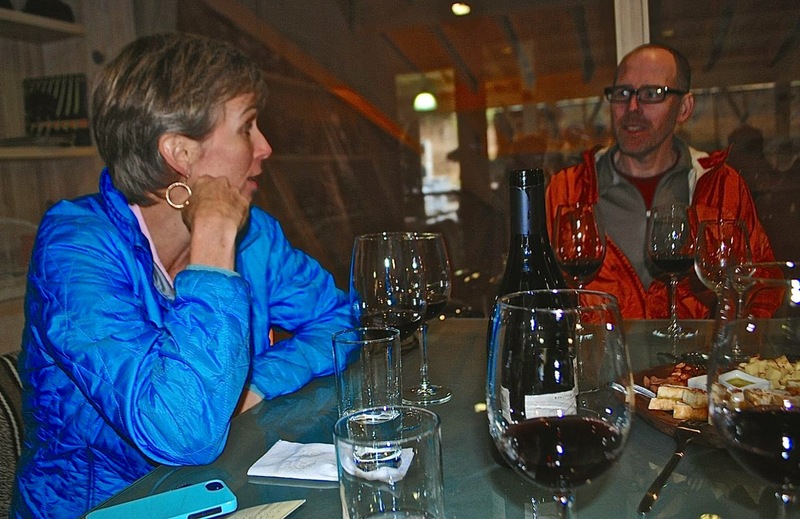 Why won't or can’t Chilean wineries have free or low-cost tours and tasting? Yes, we host several tours each week, by appointment only (we’re only now finally getting a sign up at the entrance to our vineyard – until now, visitors had to hunt to find us). We also do lunches for visitors on our terraza overlooking the Casablanca Valley, and for larger groups we cater candlelit dinners in our barrel room. In the first 6 months of this year, we had visitors from 21 countries, the majority coming from the United States, followed by Germany, UK, Chile and Brazil. WBB: Is there anything I’ve overlooked that you would like to add? CK: Here are a couple of suggested topics, based on what many visitors ask us…. 1) What changes in wine and tourism has Kingston Family Vineyards seen in the past decade in Chile? The greatest two changes for us have been the growing awareness globally about the availability of very high quality wines from Chile – we’re no longer known simply for high-volume ‘value’ wines – and the growth in overseas travelers for whom coming to Casablanca wineries is a key part of their Chile travel plans. We think these are great signs for Chile in general, and artisan wineries in particular. 2) What is the role of social media today for a winery in Chile? Social media has become increasingly key for us in connecting with wine lovers and friends of Kingston Family. Before, we could really only communicate with our friends and followers a couple times per year via email, but with social media we can provide more-frequent but less-intrusive updates to them, as well as receive feedback and answer questions that people have. To date, most of that interaction has taken place via Twitter (@kingstonwine), but also a lot of our guests post photos of their visits on Facebook and Instagram. With that said, the majority of high-end wine buyers today are in their 40s or older, whereas the most active social media users are younger than that, so we expect to see the importance of social media continue to increase in coming years. In my last post, I wrote about the appearance of Estela de Carlotto’s grandson in my wife’s hometown of Olavarría, which is probably getting more press attention than any time in living memory. The topic has also come up in my household again because my cousin Elisa Rodríguez, who works as a freelance guide in El Calafate, wants to present the topic to her English-speaking clients. Elisa, who speaks English well but can be a little timid in doing so, asked me to translate an open letter Carlotto addressed to her newly recovered grandson on his 18th birthday in 1996. The Carlottos lived in the Buenos Aires provincial capital of La Plata (pictured above), one of Argentina's major educational centers. “Today is your 18th birthday, and I wish to tell you some things and express some sentiments you may not know. Your grandparents belonged to a generation that lent a unique and special value to every event in our lives. The birth of a grandchild was one of those events: baptism (or not), the first baby steps, first communion (or not), the first baby tooth, kindergarten, the white school uniform, and the request “Grandma, teach me the multiplication tables.” These are transcendent moments. But on your 18th birthday, this goes beyond unique and special like all those others that we have been unable to spend together. That’s because they took you from the arms of your mother Laura just hours after your birth in a military hospital, where she was handcuffed in custody, in order to steal you away, cunningly and furtively, to an uncertain future. At the beautiful and idealistic age of 18, Guido, you are growing up with another name. It’s not your father and mother, but rather your kidnappers, who are celebrating your coming adulthood. What they don’t understand is that, without knowing it, in your heart and mind you carry all the lullabies and songs that Laura whispered to you in the solitude of her captivity, as you shifted in her womb. And you will awake one day knowing how much she loved you and we all love you. And one day you will ask, “Where can I find them?” And you will seek similarities in your mother’s face and you will discover that you like opera, classical music or jazz (how old-fashioned!) just as your grandparents do. You will listen to Sui Generis or Almendra or Pappo, feeling them as deeply in yourself as Laura did. One day you will awake, dear grandson, from this nightmare and be born again to liberate yourself. I am looking for you. I am waiting. With all my love. 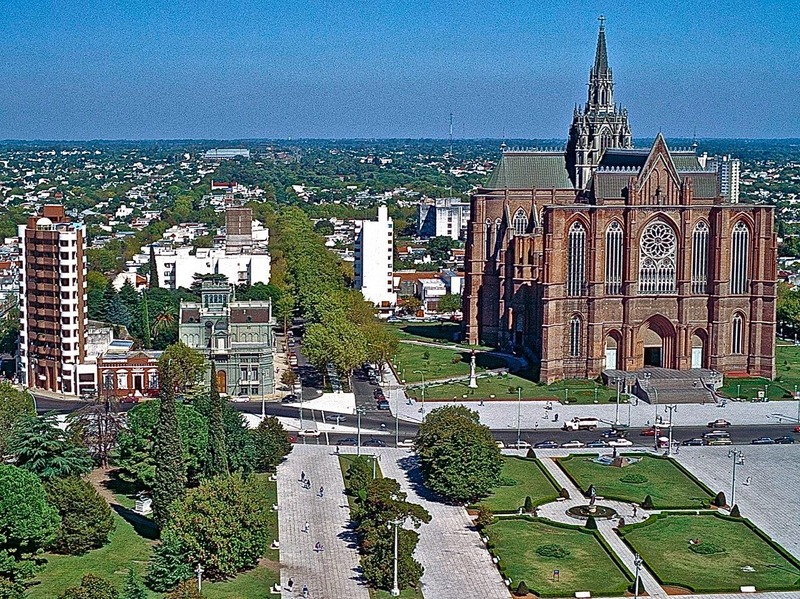 My wife’s hometown of Olavarría (pictured below), in the middle of the Pampas of Buenos Aires Province, is historically a cow-town that’s also prospered thanks to a cement plant that exploited some of Argentina’s largest quarries. In recent days, though, it’s drawn international attention because a young man, raised by a couple in the countryside, turned out to be the grandson of the high-profile president of the Abuelas de la Plaza de Mayo (Grandmothers of the Plaza de Mayo), formed to rescue the children of their own disappeared children from Argentina’s 1976-83 Dirty War. Earlier this year, on learning that he was "adopted," Ignacio Hurban took a DNA test that determined he was Estela de Carlotto’s grandson Guido Montoya Carlotto. I won’t go into the usual details of the story, which has been covered extensively in English as well as Spanish, but I’d like to offer a slightly different perspective that I’ve gleaned in conversations with my wife, from a local’s viewpoint. This is a sensitive topic in her family because her brother’s first wife disappeared barely a month after their son’s birth, and I will decline to include any names that are not already widely known (though I will add that my nephew, despite losing his mother shortly after his birth, has grown up to be a remarkably well-adjusted young man). Many children of the disappeared ended up in military families – to be raised by their parents’ assassins – as depicted in the Oscar-winning film The Official Story (ceremony above, emceed by the late Robin Williams, who mispronounces the surname of Argentine actress Norma Aleandro). Ignacio Hurban’s adoptive parents, though, were a modest couple who worked on a well-known landowner’s cattle ranch. That’s raised questions as to whether the landowner himself was in league with the military murderers, and the potential culpability of the local physician who signed off on a falsified birth certificate. In related news, in September Olavarría will be the site of the trial of four military men accused of kidnapping and torturing political activists at nearby Monte Peloni, one of the dictatorship's documented detention centers. The landowner, who died a few months ago, had connections to those four. 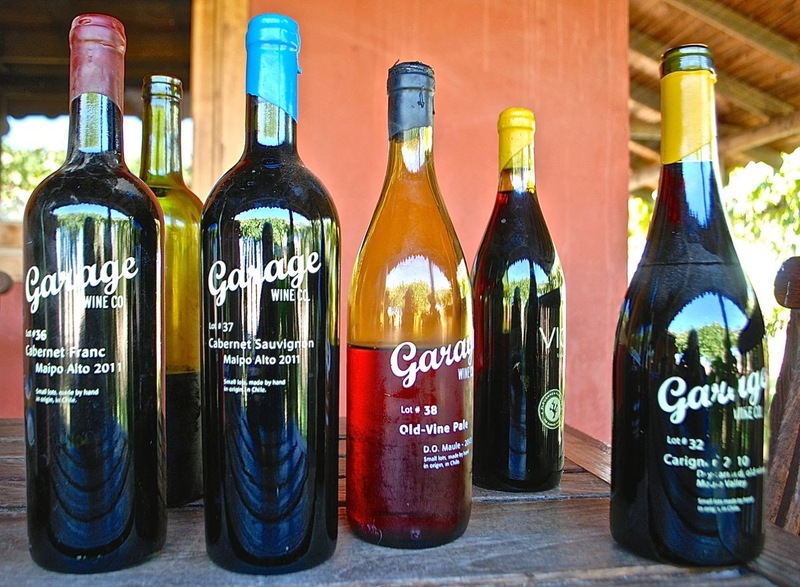 During the 1990s, I met Derek Mossman in Santiago when he was working in the tourism sector and then lost touch with him until last year, when I learned he had formed the Garage Wine Company with his Chilean wife, Pilar Miranda. 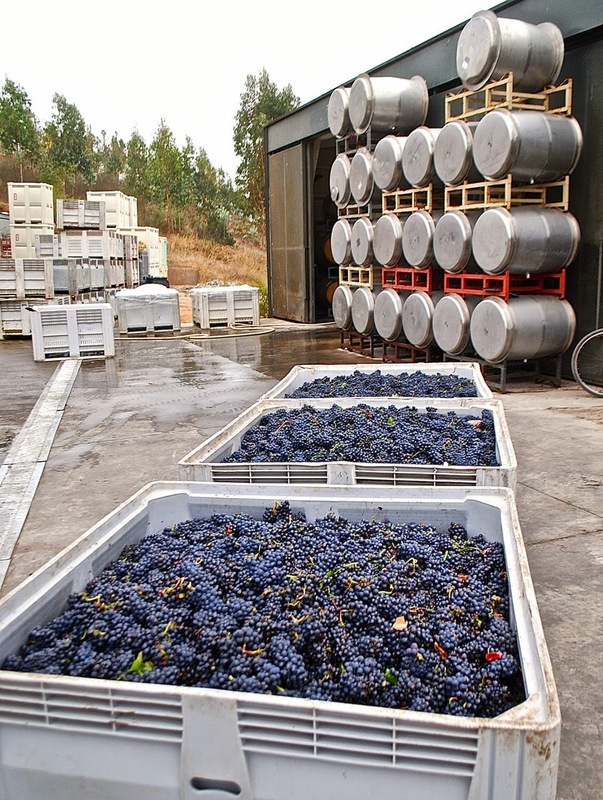 It’s part of the Movimiento de Viñateros Independientes (MOVI), an alliance of small-scale Chilean vintners focused on products beyond corporate Cabernet Sauvignon and other industrial varietals. In March, just before returning to California, I had a chance to visit Derek at the Caliboro vineyards, in the Maule region, where he harvests and processes the grapes for their old-vine Carignan - a rejuvenated sensation in the industry. Recently, he responded to a series of email questions I sent him on his company and other recent developments in the local industry. WBB: Please tell me something of your background – when we first met, which must have been nearly 20 years ago, you were involved in the tourism industry in Santiago. So far as I know, there are not a lot of Canadians involved in wine - how did you become involved, and how much time do you spend in Maule every year? I understand you still live in Santiago. My kids go to school in Santiago but we make the wine in Maule and I spend five to six months of the year there and my wife spends three to four. WBB: What is the terroir in your part of Maule, and how did you choose it? I was a little surprised how isolated the area was, how dry it is despite the nearby river, and the lack of irrigation. Are you the only vineyard that’s dry-farming? 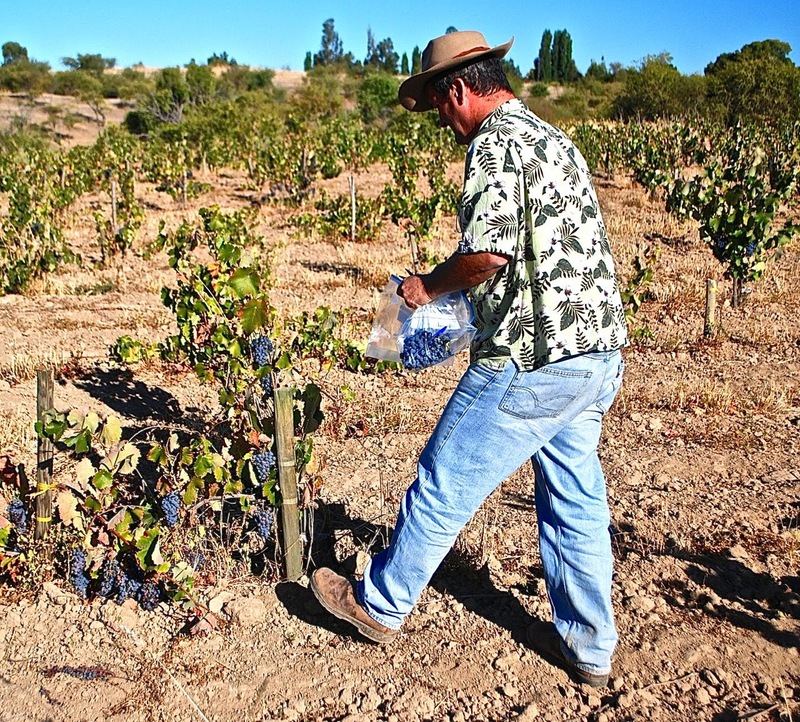 DM: Dry-farming is the colonial history of viticulture in Chile. Here in Maule and further south in Itata are the two cradles of viticulture in South America. This was the frontier of the Spanish colonies so, whilst they began in Itata, they had to retreat to Maule further north when the Mapuche resisted too fiercely. The horse-plowed, old-bush head vines of today are direct descendants of these times. They have not been planted but rather are mugrones made to fill in the vineyards when certain plants grow feeble. A mugrón is a shoot that is not pruned and is bent back under the earth to create a new plant. A few years later the umbilical is cut as the roots are big enough to support the new vine. WBB: Most of Chile’s wine country closely resembles California. What California wine district would be the closest counterpart to your part of Maule? DM: I do not think Maule should be compared with anywhere else in the world. The centuries-old history, the unique vines, the undiscovered quality and the fact farmers still plow by horse is unknown anywhere else on this planet. WBB: What varietals do best in your part of Maule? I know you specialize in old vine Carignan, but I have a bottle of your 2011 Cabernet Franc from Alto Maipo that I’ve been saving for a special occasion. What other varietals (and blends) do you produce? Do you acquire grapes from elsewhere? DM: Each wine since 2001 has a Lot # number: 1) Cabernet Franc – Maipo; 2) Cabernet Sauvignon – Maipo; 3) Carignan – Maule (we make four different wines each from a small farmer’s own field blend). Since the  earthquake we have been investing in the farms and guaranteeing a fair price to the farmers. WBB: What is your annual production, and what percentage is exported? What acreage is devoted to wine, and do you produce anything else? DM: We produce 3.500 cases per year. We also produce port, on 11 hectares of old vines. 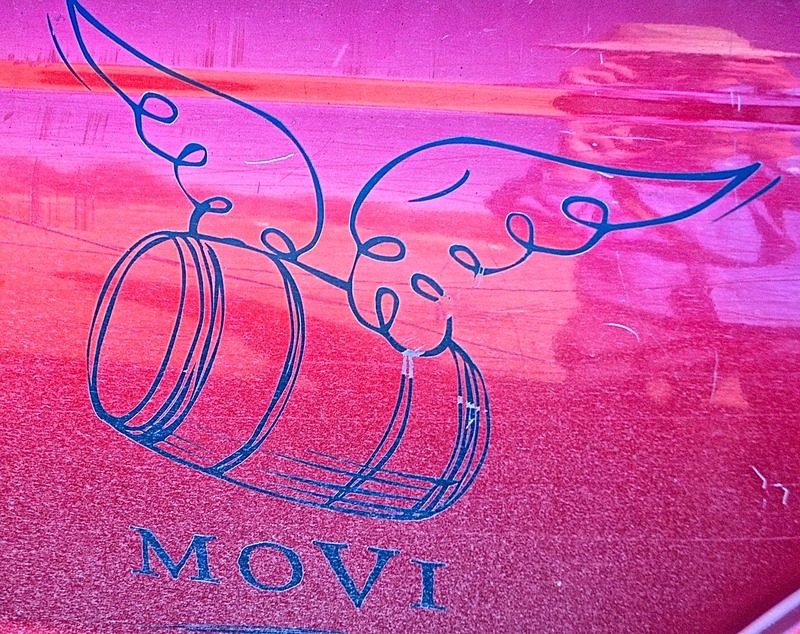 DM: MOVI is a healthy counter-culture aimed at a burgeoning worldly wine public. 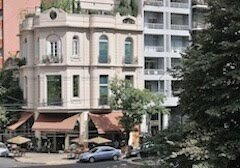 And yes we are heaps less conventional - a convent is less conventional than the Chilean wine industry, I am afraid. That said, we are but a small minority, for the majority of the world's romance will continue to be made over a ten dollar bottle of wine made in a large vat of a corporate winery for many years to come. The good news is that a ten-dollar bottle has gotten a lot better over the past few years - especially if you buy Chilean. It is not so much that [the big producers] control the industry, although they certainly keep tight control on the price of the farmers' fruit; what irks me is that they feel they 'own' the wine business. They own their shares of their wineries and that is all. No one owns an industry, anywhere. More lately I think the powers that be have come to realize that the spirited, smaller produces have in fact helped to raise the tide as it were, and that all of the boats big and small are rising with this tide. And thus the small are not such a nuisance anymore. DM: If there were traffic tours would cost less, but if there isn’t traffic it is hard to subsidize the costs. I think anyone wanting to taste good wines is willing to pay 10 dollars per great wine tasted and this is the real market. Any less and you must necessarily have a big winery that is selling their brands by giving away samples. DM: The roofs of reticence placed atop unknown areas such as Maule have been lifted by a new taster and in Parker’s report the best wine from Chile is a Carignan from Sauzal – the heart of this god-forsaken dry scrubby wine country from yesterday in the process of being re-discovered.